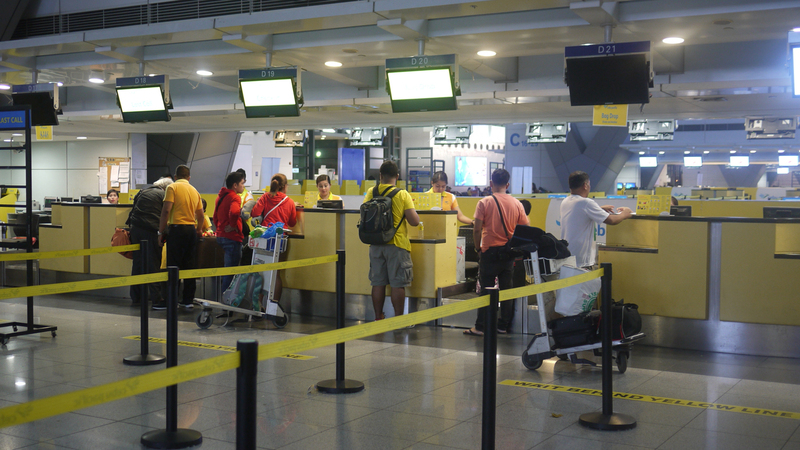 Cebu Pacific inks deal with MIASCOR Ground Handling — Citadel Pacific Ltd. The Manila-based aviation services provider recently took over the country’s largest low cost carrier’s ground handling activities in Terminal 3 of the Ninoy Aquino International Airport (NAIA). A major leap from handling 30 to 130 daily flights after an agreement with Cebu Pacific, MIASCOR without question is up in the big league. The Manila-based aviation services provider recently took over the country’s largest low cost carrier’s ground handling activities in Terminal 3 of the Ninoy Aquino International Airport (NAIA). Previously entrusted to a manpower agency, Cebu Pacific’s above- and below-the wing operations are now being handled more professionally and in a more structured manner. “When we finally pursued the takeover, they saw the difference between a service provider whose core competency is really on ground handling compared to a regular staffing agency. Being ISAGO registered also gave us the advantage. They saw our efficiencies,” shares MIASCOR Vice President for Sales & Marketing Ramon Magno. MIASCOR Ground Handling is registered under the International Air Transport Association’s (IATA) Safety Audit for Ground Operations (ISAGO), a widely recognized and accepted evaluation system for assessing effectiveness of ground operators. For MIASCOR Senior Vice President for SBU Operations, Dale Tagabucba, the timing and the compatibility of requirements fell into place at the most opportune time. “Cebu Pacific’s direction to improve their services for their passengers requires someone like us who have the skills, the experience and the expertise. While they focus on the business of flying, we can ensure them that things are taken care of on the ground,” says Tagabucba. When a great opportunity presents itself that is as substantial as 1,400 flights a day, it is easy to fall into a trap of doubt and uncertainty as a services provider that is used to handling only one-fourth of this volume. “We have done this many times over when we welcome an airline here in the Philippines. We have the tools, we have the procedures in place, but the question was – can we do it for an airline with 130 flights a day? Can we do it on the biggest airline in the country? It was clearly a test of our model,” he shares. Reaping the rewards of creating a partnership with the country’s biggest airline had its challenges. Asked what the biggest challenge was, Tagabucba says it was the turning over of the staff to MIASCOR. The required number of people to run the operations for the airline in Terminal 3 reaches to about 1,500 personnel. “Instead of external hiring with no background, what we did was to absorb the current manpower at the terminal. They already have the training and familiarity, so the hard part was the preparation for the full takeover. How do we train them and bring them up to speed with our way of doing things? How do we align our processes with the current set-up?,” says Tagabucba. The areas that had to be reviewed and realigned comprised passenger handling, ramp handling, safety and security, training, among others. “We’re committed to providing the best services to Cebu Pacific. We have taken steps to give the airline full focus and approach it wholistically,” he adds. With Cebu Pacific joining its roster of reputable airline clients, MIASCOR has clearly proven itself once again as a highly preferred ground service provider in the country.